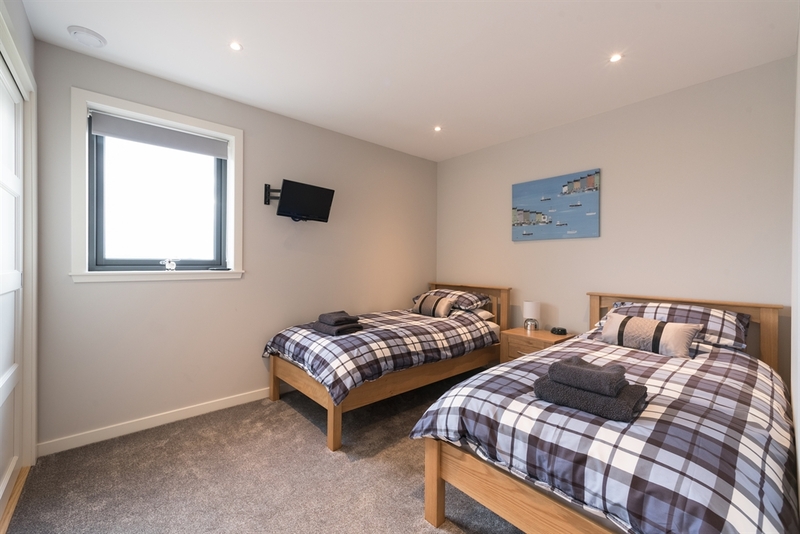 Da Roost represents the finest in Shetland accommodation. Newly built and furnished to the highest specifications. 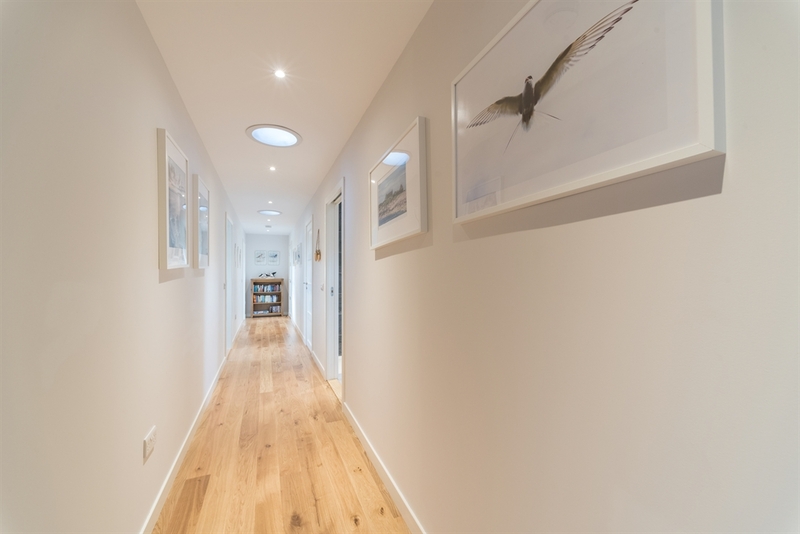 The house is near to the shore great for wildlife and close to Shetland's best attractions including Jarlshof and Sumburgh Lighthouse. 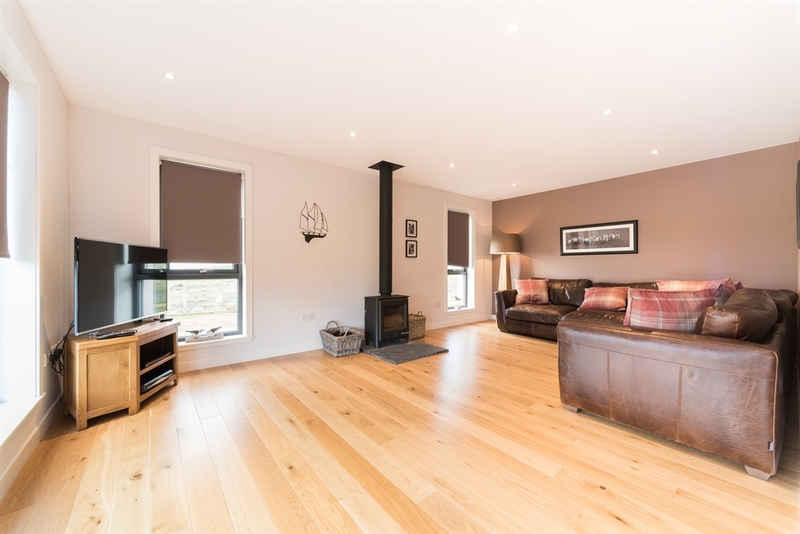 Da Roost is a newly built luxury 4 bedroom, 2 bathroom family holiday home built in a traditional shetland style that sleeps up to 8 guests. 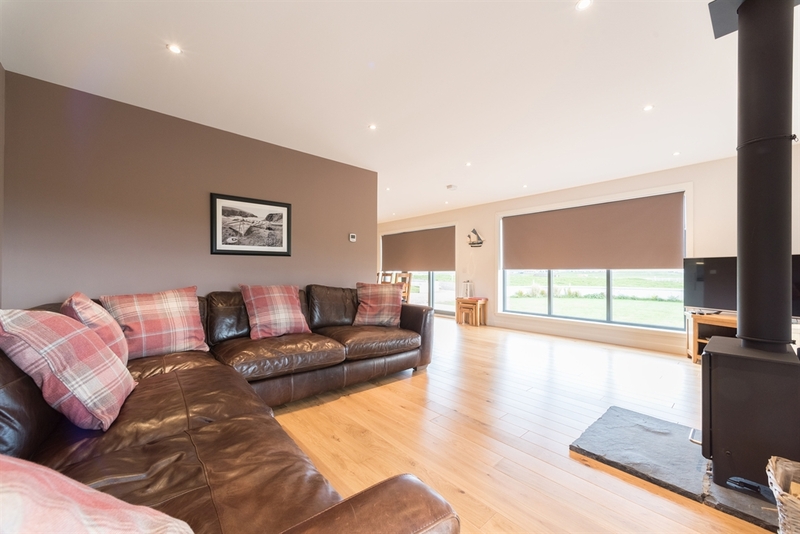 It is situated just minutes from Sumburgh Airport and Jarlshof and has spectacular panoramic ocean views. It is a superior alternative to hotel accommodation. 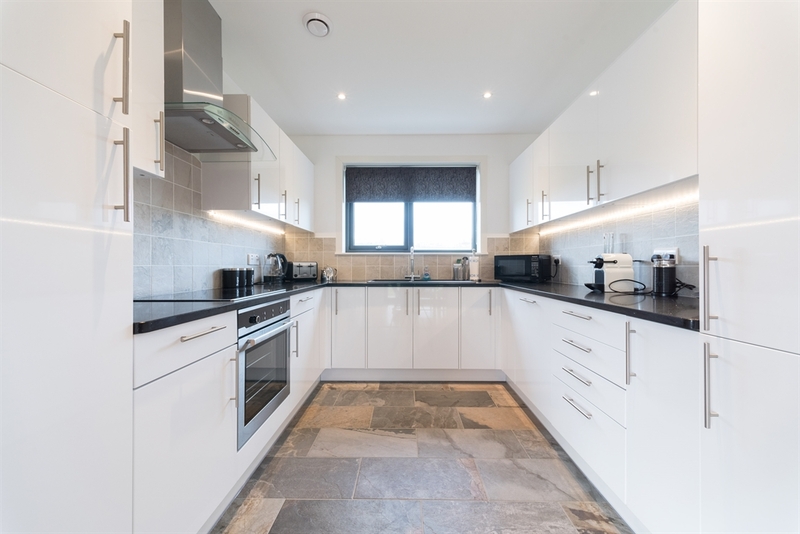 The house is situated only a couple of minutes drive from Sumburgh airport but is situated in a beautiful spot overlooking the ocean near the tiny village of Toab. 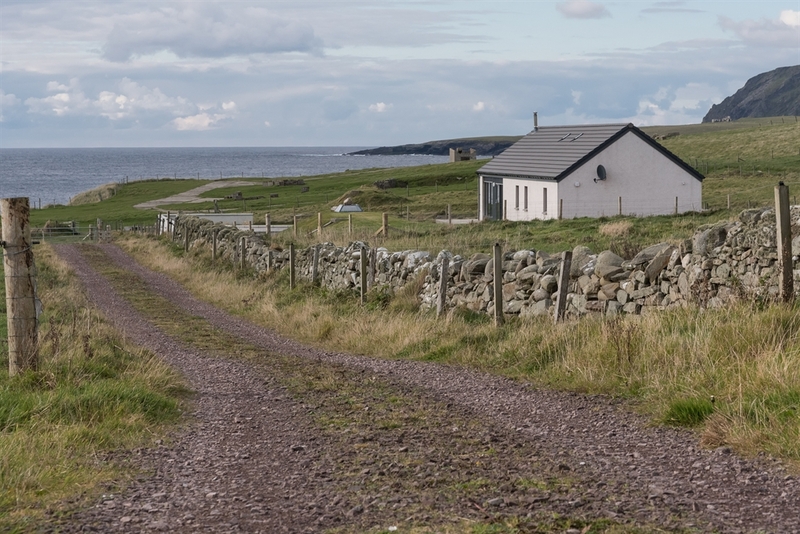 A short walk through the fields will take you to the rugged Shetland foreshore. 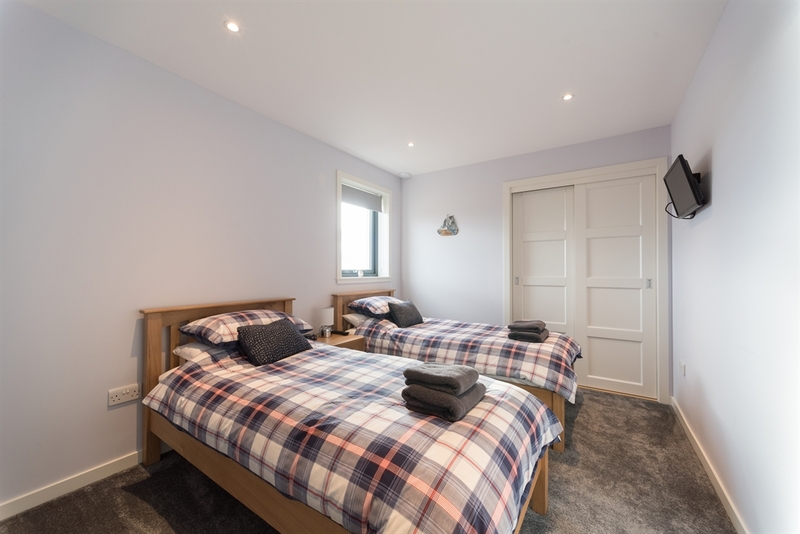 Da Roost is close to some of Shetland's best attractions including Jarlshof, Sumburgh Lighthouse, The Old Crofthouse and the amazing Tombolo at St Ninians Isle. For very young guests we also provide complimentary high chair x 2 and 2 travelcots. 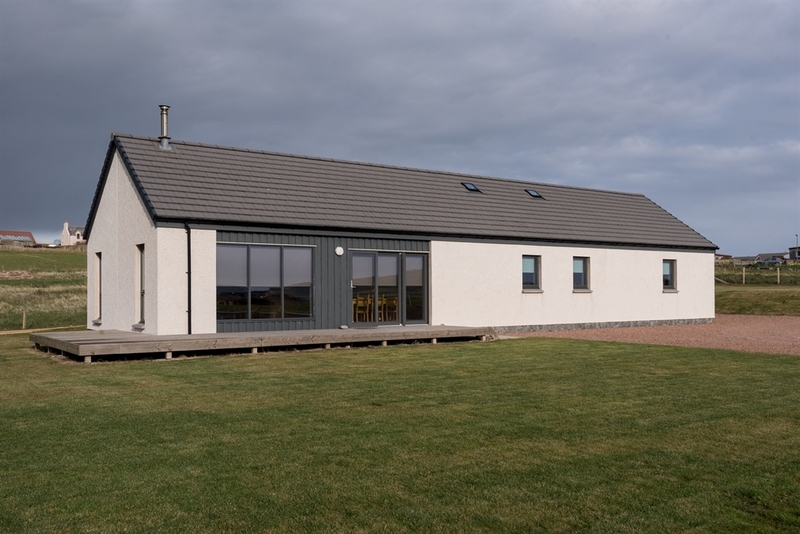 Da Roost has been built in a traditional Shetland style but with all the comforts of home. There are 4 bedrooms and 2 bathrooms that accommodate a total of 8 guests. 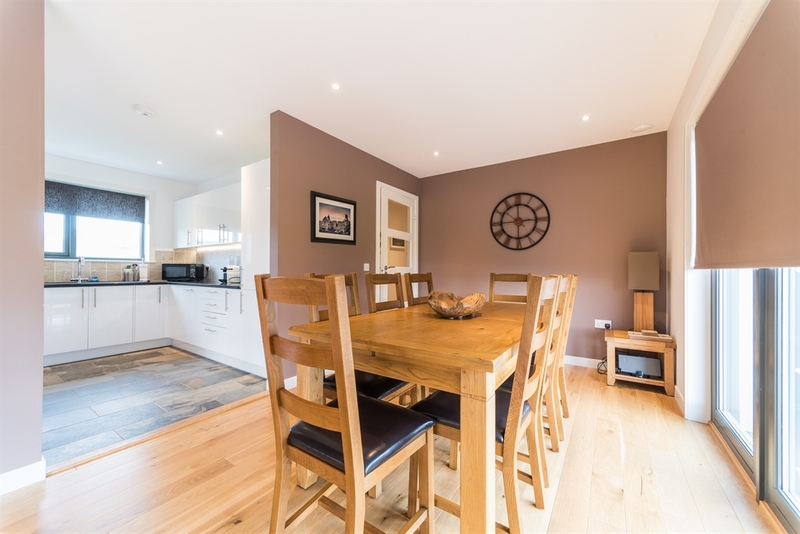 It is ideal for families or holiday makers (sorry not available for local workers). 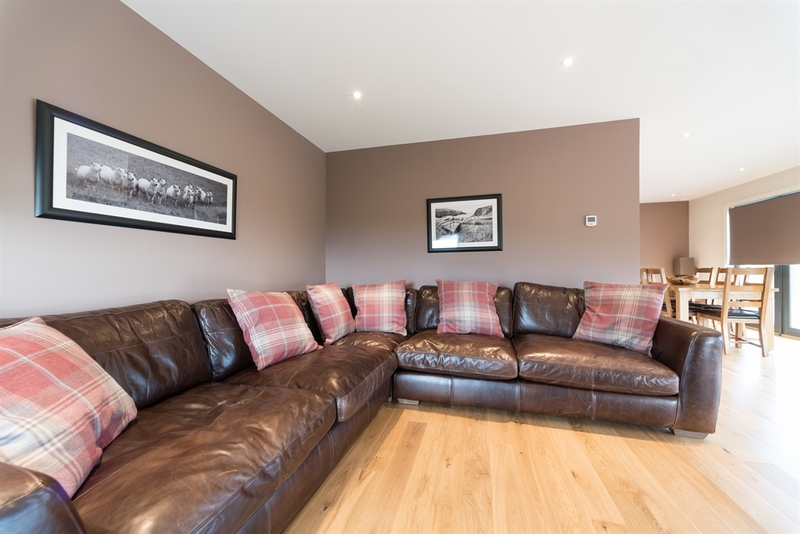 The house is situated only a couple of minutes drive from sumburgh airport but is situated in a beautiful spot overlooking the ocean near the picturesque village of Toab. A few minutes walk from the house takes you to the rugged Shetland foreshore. Another feature of Da Roost is an original WW2 air raid shelter (sorry no entry permitted at current time). For very young guests we also provide complimentary high chair and portacot. 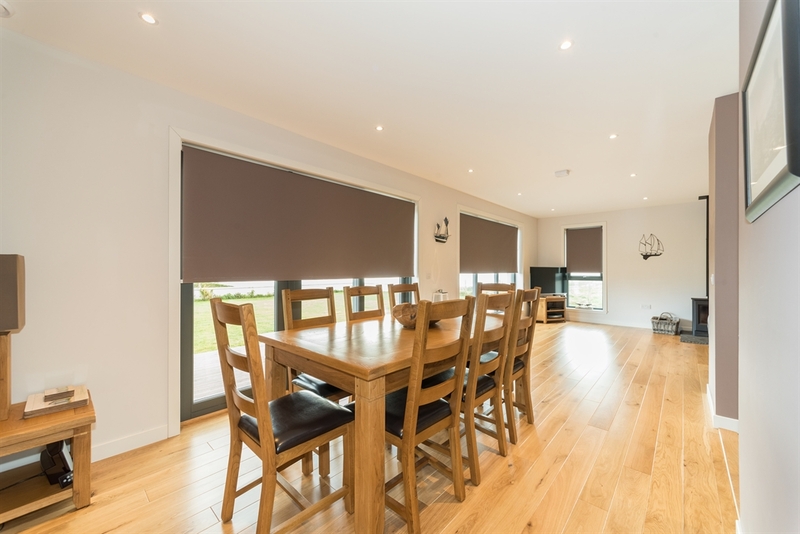 Open plan living areas with large floor to ceiling windows, letting in plenty of light. All the comforts of home. 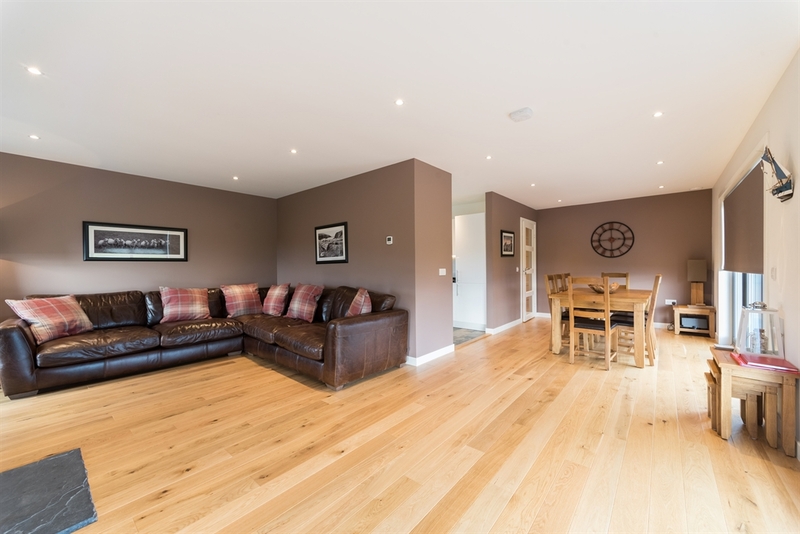 Underfloor heating throughout to keep you toasty on those chilly nights. Living room contains a combustion fire, underfloor heating and there is a fabulous 47" TV with Sky Cable TV and Blu-ray DVD player. There is also superb stereo system with ipod dock. There is a great selection of books, CD's, DVD's and games. 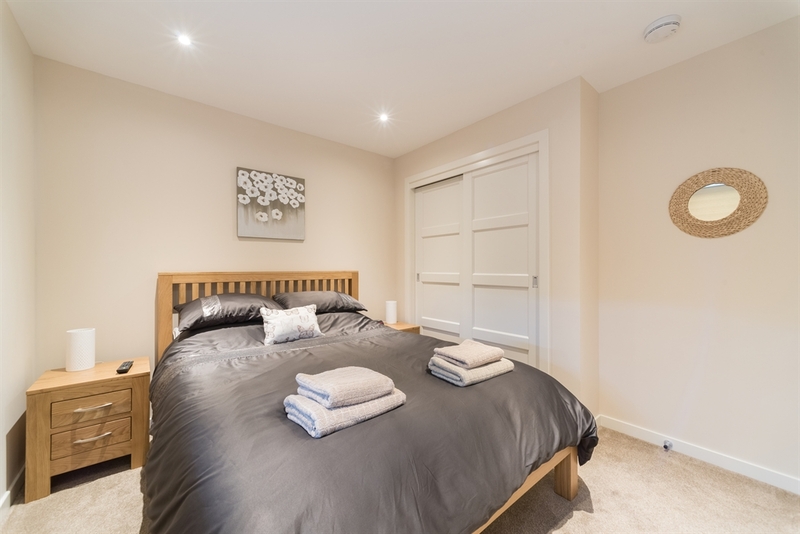 Bedroom 1: contains a super comfortable double bed and has the bonus of an en-suite bathroom with shower. Built in wardrobe, underfloor heating and wall mounted TV. Sleeps 2. Bedroom 2: contains a super comfortable queen bed and looks out onto the spacious deck and level garden. Lockable wardrobe, fan and heater. Sleeps 2. Bedroom 2: contains a super comfortable double bed. Built in wardrobe, underfloor heating and wall mounted TV. Bedroom 3: contains 2 super comfortable single beds. Built in wardrobe, underfloor heating and wall mounted TV. Sleeps 2. Bedroom 4: contains 2 super comfortable single beds. Built in wardrobe, underfloor heating and wall mounted TV. Sleeps 2. Kitchen: Modern kitchen with all the amenities. 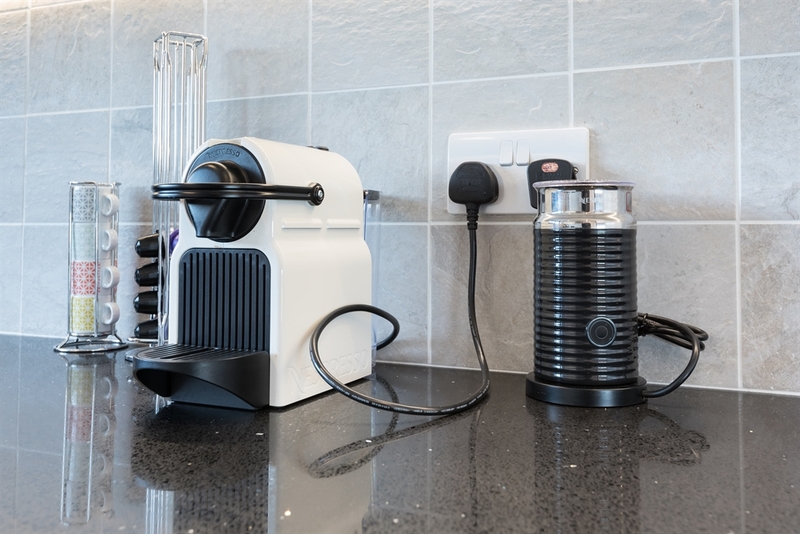 Stove, oven, microwave, dishwasher, toaster, kettle, cutlery and crockery, cooking utensils, espresso coffee machine. 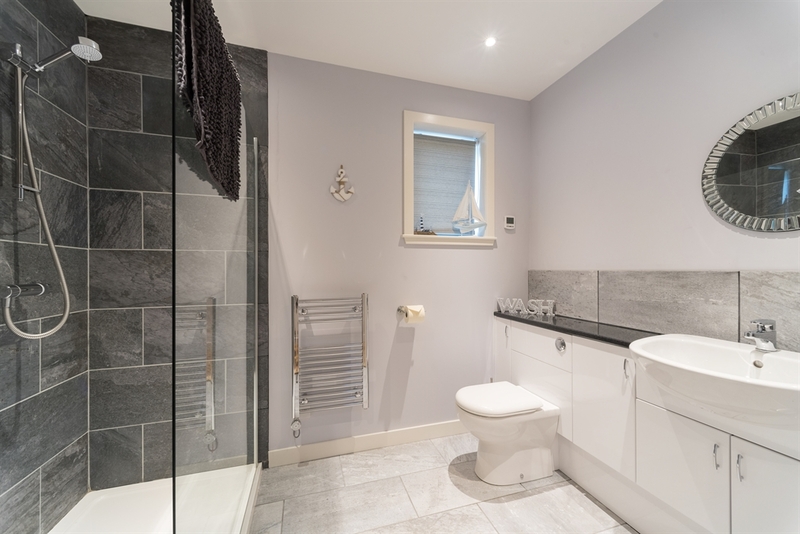 Main bathroom: modern, comfortable and bright with a good sized shower & hairdryer. Plenty of storage space. Dining: there is a dining table that seats 8 in the dining area adjacent to the living room. Laundry: Laundry has everything you need - washing machine, tumble dryer, iron & ironing board, vacuum cleaner, mops, brushes, detergents, etc. Deck: a small deck at the front of the house is the ideal place to relax in the warmer summer months. Parking: There is room to park two cars (uncovered parking). - Unlike many other properties there is no cleaning fee! Newly built, with uninterrupted views of the Shetland Coast. Newly built, with uninterrupted views of the Shetland Coast. Spacious living area with combusion fire, huge TV, Satellite TV and complimentary WiFi. King Bedroom with en-suite, TV & Built-in Wardrobes. Bedroom 4 with 2 single beds, wall mounted TV and built-in wardrobe. 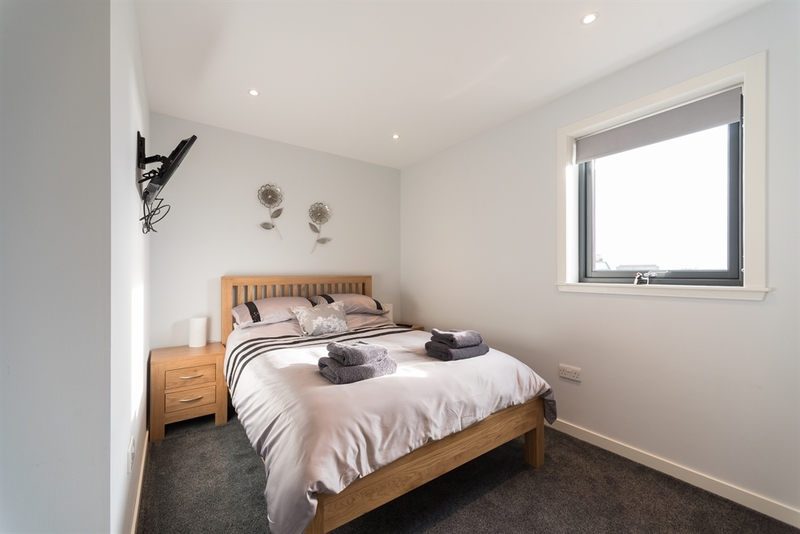 Double Bedroom with TV and built-in wardrobe. Bedroom 3 with 2 single beds, wall mounted TV and built-in wardrobe. Dining for 8 with magnificent views across the sea... 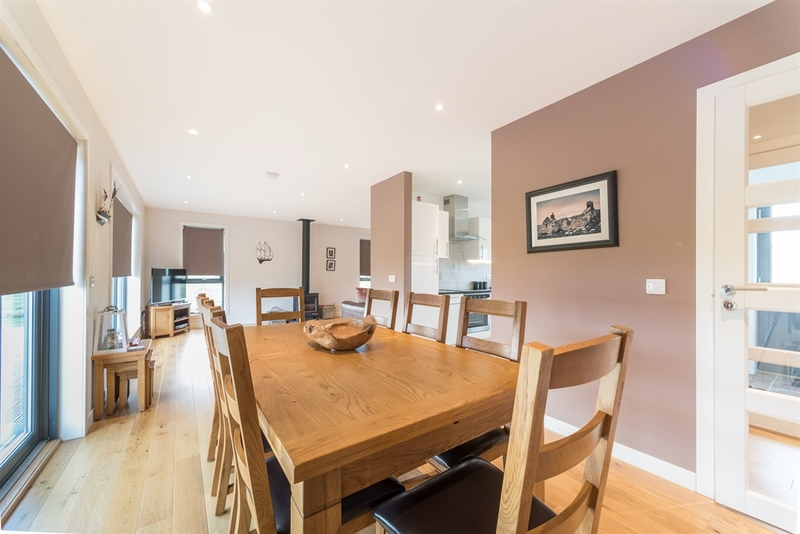 Luxury Kitchen with microwave, toaster, stove, oven, espresso coffee machine & dishwasher. Main bathroom with full sized shower. Easy access. 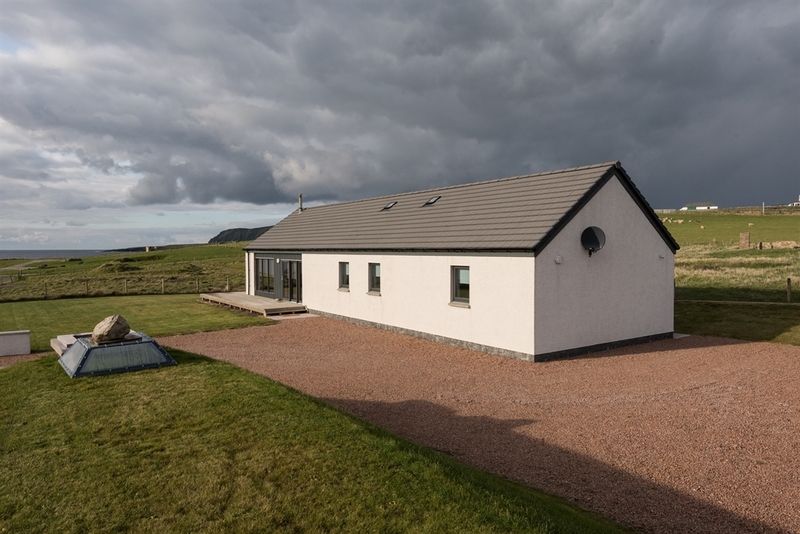 Newly built, with uninterrupted views of the Shetland Coast. Dining for 8 guests. Giant couch to fit all the family! 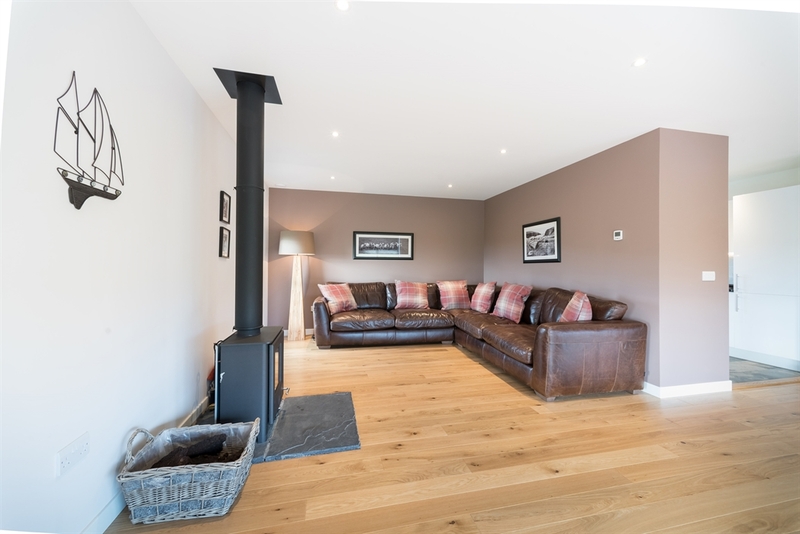 Large lounge with log/peat burning stove. Dining for 8 with easy access to entertainers' kitchen. Enjoy the view from the comfortable couch that will seat all the family! Enjoy the view from the comfortable couch that will seat all the family! Espresso coffee machine with complimentary pods.